Hello guys and gals! 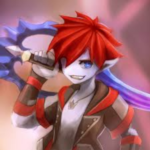 I am a 17 year boy with autism, ADHD, Anxiety, Depression, Near-Blindness, and BPV Syndrome and I will make many games with RPG Maker MV. 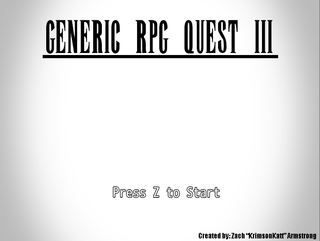 Since the failure of my last two games, Zero Gear Fighters and Dragon Ascension, I have started a new small project called "Generic RPG Quest 3." It will be a parody game of retro RPG tropes. Some of my favorite games are Kingdom Hearts, Fire Emblem, Pokemon, Final Fantasy, Castlevania, Smash Bros, Megaman, Zelda, Mario, Xenoblade, Hollow Knight and Teraria. I hope you will enjoy my games! A trilogy no one asked for.